We put up some splotches of the two paint colors we are considering for the kitchen. We both thought the Lotus Leaf was too green in the space, and would limit the colors that I could use for accents. But I wanted to see it at night. Definitely looks more blue. And so I'm not sure. We both like the gray and think there will be enough white in the room to not make it too dark. 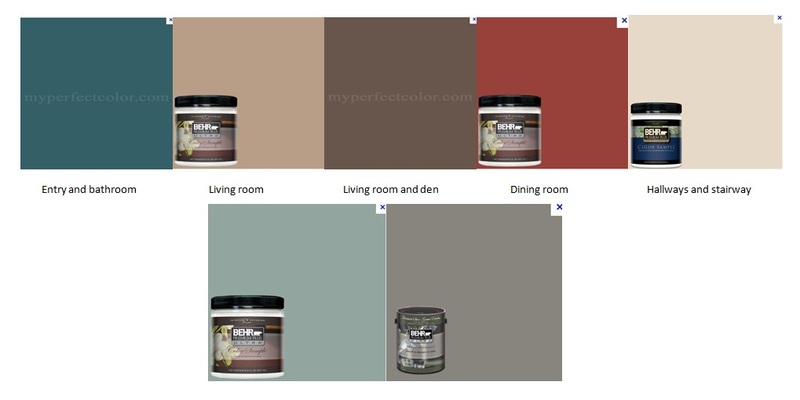 Here is a little representation of the paint colors we have throughout the lower level. I think that either of our contenders would look just fine with the flow of our colors. So, my thought is to look for a rug and/or fabric for the windows before I pick a paint color. These are like the ones we ripped out and threw away, but a better color and real wood. But I could also go with some fabric shades, right? We need privacy because our neighbors are about 15 feet away, but I haven't decided what to do yet. I can't wait for all the new trim to be highlighted by the wall color, whatever that may be. The final coat of poly went on the floors and they are looking great! Hopefully next time I blab about this room we will actually have the walls painted, and my shelves up by the frig. We'll see, I'm running pretty slow these days. Your kitchen is gorgeous! Good luck with the paint color. Decisions, decisions! it's looking good... and sooo big! This is all looking so amazing! The gray you're considering reminds me of the one I used in my [tiny] kitchen. I really love it, but I also like the green color you picked! Your kitchen looks amazing! An A+ project to be sure. 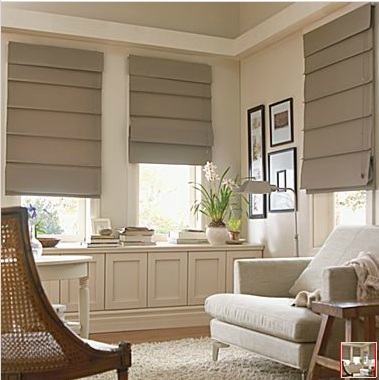 Might i suggest Smith and Nobles inside mount natural woven shades. They look great with curtain panels. You can choose a privacy liner or even have them rise from the bottom up for privacy while letting light in. I find either a great option. Sometimes full on closed shades feel very shut in. Just a thought. paint colors... choices, choices, choices! i 100% sure that whatever you choose will be wonderful. i do agree that maybe the green may be a little christmas-y. the kitchen is looking so great! Seeing the paint samples up I change my mind. I like the blue! I don't think it will look too great at all. The gray is way too dark for the space and makes it feel gloomy. I vote bamboo/grass romans paired with curtain panels. hmm.. I'm no help but regardless it's a great kitchen. A beautiful house! the kitchen is sooooo beautiful!! i like both colors, sounds like a good plan to review rug/window treatment options first before making a decision. I love the green, I think it goes with all the other colours, or use the colour from the entry ... I REALLY love that one. Great picture showing the dining room from the kitchen, hadn't seen that perspective before and it make the kitchen look immense! Really close to the finish line ... looking fabulous. We recently painted our kitchen a deep, moody gray and love it. It feels really warm and works with the wood floors and cabinets (which my hubby won't let me near with a paintbrush.) Good luck with the decisions! I think your kitchen looks amazing. At first, I was totally rooting for the blue/green. But now I see your concerns about too green and the red. The gray is a nice neutral and would look good with anything. Your kitchen is stunning.....S.T.U.N.N.I.N.G!!! The picture showng the other rooms you see from the kitchen is fabulous!!! The kitchen looks ridiculously amazing!! I love both colors equally, maybe the gray is a little too dark? If you're looking for something a little bit more blue, try Dix Blue by Farrow Ball. I painted my LR that color but color matched it to Behr. i think the lighter one looks so much better. the darker one just feels a bit too much. i am sure whatever you do will look great! I love the gray! And then you can do any color rug/fabric. Though I get the blue/green, considering my kitchen is a similar color, I'm just feeling that gray! The kitchen is truly looking twice the size as before. Is it just me? It looks SO GOOD and all those deep drawers are killing me with their beauty. I love both the colors. How will you ever choose? no help here, they are both pretty! The baby's room is lovely too--so spacious. I like the grey too... but maybe go with a slighter lighter shade so it doesn't feel too dark? Just my 2 cents! Hi ,i love your kitchen as well as the rest of your house . I have to agree that you kitchen looks much bigger now. I love lighter colors .I am sure whatever colour you choose will work great at the end. I think the green would be a mistake, especially with that red! It just screams christmas! I love the gray, but perhaps a lighter shade of gray would make you less weary of it! Love it!!! Is that a pull out "Rachael Ray" style cabinet beside your refrigerator like we have beside our ovens? It's so awesome! 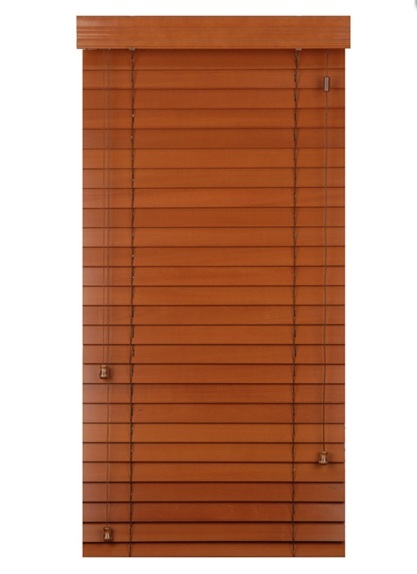 We did these blinds in our kitchen... another option for your windows? OH... MY... GOSH! Can I live in your pantry? I just want to sit in this room and stare at it all damn day! I love the gray. The green is nice but I'm with you guys in thinking it might be too limiting and too much Green and Red with the dining room but that gray is amazing! I think the idea to find curtains you like or shades as well as rugs will help you tie it all together. I can't WAIT to see it finished!!!! Love the gray. I think there is enough white and light to pull it off. The angles of the photos are really deceiving. I know you said it is not wide enough for an island, but it looks way roomier in the photos. I really think you could pull off a slim island!!! However most people with children usually complain about islands so it might be for the better. I'm almost always drawn to darker colors, but actually really like the lighter green in that space!